After a recent move from Maryland to Connecticut, my family and I cut our cable/Internet bill substantially. We’re now paying $100 less each month than we were before the move and, unless the cable industry decides to change the way they make content available and begins offering more choices when it comes to live sports, I don’t see us moving back to a significantly more expensive package anytime soon. We prefer the freedom that comes with saving that money every month. In our old house, we were paying about $170 for a Verizon FiOS bundle that included a land line we rarely used (the deal was cheaper if we got it), a high-speed Internet connection and an HD cable package that included HBO and Showtime, plus sports networks like all the ESPNs, NBCSN and the NHL Network. We were also on a contract that came with a fee if we wanted to cancel. In our new place, we have a cable/Internet bill of around $59 through Comcast that will soon go up to $70-something once the introductory offer ends, and there is also no contract. With this set-up, we have the fastest Internet connection available and an economy cable package that includes local channels, the cable news networks, Disney and HBO. Basically, it has anything we might need to stay informed about weather or emergencies, plus Doc McStuffins and Game of Thrones. But we hardly even turn on the cable box to make use of these things—it’s something extra that came with the best deal we could get on the fastest Internet connection. We watch traditional cable maybe once a month. In our new set-up, the cable box is a little like the landline we had in our old place and rarely used. Almost everything we do now is streamed through a Roku player into our TV. We’re spending $7.99 a month for a streaming Netflix subscription and $79 annually on an Amazon Prime membership, which also gets us things like free two-day shipping on amazon.com purchases. Between those two services, we have more content than my family has time to consume. We really could get by with only one of these services if we want to cut expenses even further. We’re getting plenty of programming for our kids, and my wife and I have a que of shows we’ll never get through. Occasionally, we rent a new release that’s not yet available through our Netflix or Amazon Prime subscriptions, either via streaming video from Amazon or on DVD from Redbox. This rental approach is often less expensive than renting movies through FiOS on-demand was. The only thing missing is some live sports programming—and sports are big for us. My wife is a huge college basketball fan and I love hockey and baseball. But it’s simply not worth paying another $1,200 a year for us to get a handful of the networks that offer live sports which, unless I’ve missed something, you can only get by purchasing the larger cable/satellite packages. Until something changes, the days of us having ESPN, NBCSN and other networks in our home are gone. This winter, about a month into the shortened NHL season, I subscribed to NHL GameCenter for $50 for the season (a post-lockout discount) and watched games with that through the Roku and on the iPad. I was able to catch most Washington Capitals games, except for the ones against the Bruins and the Rangers (these two teams are blacked out in our area of Connecticut—the only way to view these in-market games legally is through a cable/satellite package) and the national games on NBC Sports Network (these are blacked out for everyone on GameCenter). We also run ESPN3 through a laptop into our TV, mostly for college basketball. For March Madness, we streamed every game from the CBS website or watched it on their tournament app on the iPad (I loved watching games this way. You’d touch the game you wanted to watch on the tournament bracket in the app and it took you to the broadcast. The NHL GameCenter app had similarly great touch-and-view features). If I could pay to add just a few additional cable channels (ESPN, ESPN2, ESPNU, NBCSN and NHL Network), which I realize might come with a fairly steep price tag, we’d have all the sports content we’re currently missing. Or if the cable companies got together with the content providers and created a model where I can pay to stream a single game live, just as I do when I rent a streaming movie from Amazon, I’d have the sports I’m currently unable to view. Two or three times a month, I might pay to watch a sporting event through some type of pay-per-view system. But, moving to a different system may not be good for the cable companies right now. As The Washington Post’s Timothy Lee points out, a 2006 study showed that through an a la carte cable system, “the average cable bill would fall by 15 to 20 percent, as consumers cut channels they didn’t watch very often.” And I’m sure a pay-per-view system could hurt the current cable industry as well, if content providers even agreed to it, as some consumers would move away from the expensive packages and just pay for the games they want that are unavailable within their slimmed down channel options. Here’s the thing though. I’m no longer going to just fork over an additional $100 a month to get the pricey package that offers me the sports networks I want. I’d rather live without them and, if a game’s important enough to me, I’ll go out to watch it. I could spend $50 twice a month on food and drinks at a sports bar and have a great night out watching a game with my wife with the money we’re now saving through our lower cable bill. Some months, we’ll just pocket the $100 and spend it on something else. If the cable companies want me to spend more money, they need to un-bundle sports and give me some options, rather than an all-or-nothing deal that currently comes with a $170/month price tag. Right now, the choice is “pay around $2,000 a year or don’t get these live sports on your TV.” There are so many ways I can get access to movies and TV shows. But with many live sporting events, you either need to be at the game in-person or pay a huge monthly cable/satellite bill in order to watch the ones you want. With all the choices we have as consumers, you’d think there would be more than two ways to pay to see a live sporting event in 2013. I’m not asking for free; I’m asking for different ways to spend my money to access a product. While they may never again make as much from my family as they did before we slimmed down our bill, by launching alternative sports packages, cable companies would likely get some additional revenue from us. This idea may not presently be of great interest to some in the cable business, as they still have plenty of people willing to accept the cost of the current packages that offer live sports. But if enough customers cancel or reduce their package over time, models that give consumers more choices might start to look like a decent option for the industry. Until then, that extra $100 a month the cable business was getting from us goes elsewhere. Sidenote: This may sound like a long shot, but eventually the whole cable industry as we know it could blow up and content providers like a sports network, league or a team could start selling all their content directly to customers with no blackouts. So, a fan like me could get all the Caps games through something like NHL GameCenter, even the games currently blacked out, perhaps at a higher price than packages that are subject to blackouts. Or we could subscribe to something that would allow us to stream every ACC basketball game. Currently, there’s likely too much money for leagues in the exclusive contracts they have with networks for something like this to happen. But anything is possible depending on which way consumer interest and technology takes things. Look at the way other industry models, like music, have changed. 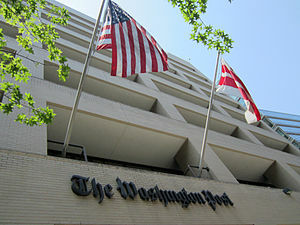 The Washington Post this week announced details on their new paywall, a “metered subscription model,” according to a letter from Post publisher Katharine Weymouth, that will be phased in beginning June 12. 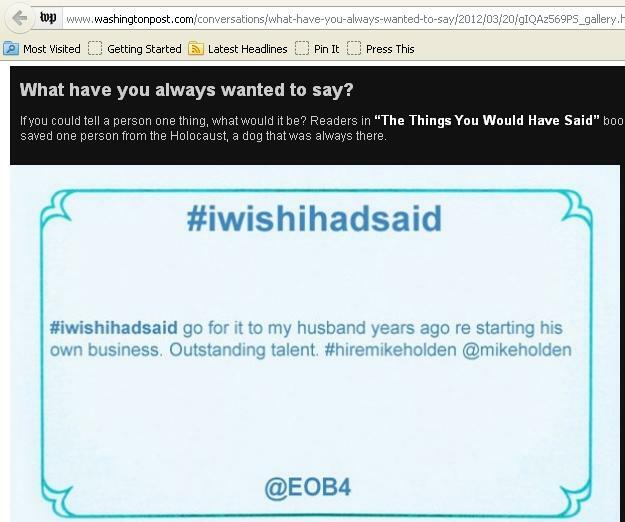 One detail from Weymouth’s letter that might be of interest to those that access The Post’s website through links on Twitter, Facebook or other websites where its content is shared: “Readers who come to The Post through search engines or shared links will be able to access the linked page regardless of the number of articles they have previously viewed.” A Washington Post PR representative confirmed via Twitter that this includes a link sent in a tweet. I’ll be interested to see how long it takes me to hit the paywall, as the majority of my Post reading now comes through links from the paper’s official accounts, reporters and columnists that I follow on Twitter. John Wall scored 47 points for the Washington Wizards on Monday night in the team’s 107-94 win over the Memphis Grizzlies. With that, “Wall is the first player to record at least 47 points, 8 assists and 7 rebounds in a game since LeBron James recorded 51 points, 8 assists and 11 rebounds on February 3, 2011 against the Magic,” according to ESPN Stats & Research notes in the espn.com game story. But someone may have forgotten to relay that information on to ESPN.com’s front page news editors. Or perhaps the business model for “The Worldwide Leaders in Sports” calls for clicks and page views to sometimes come before the day’s biggest athletic accomplishments (this makes sense in some ways, but not necessarily if you want to be known as the best source for the latest top stories in sports—which ESPN and it’s parent company very well may not care about as much as maximum revenue). ESPN will talk about this for days. MT @darrenrovell: Tim Tebow’s plane refueled in Wichita & he gave an impromptu speech to @goshockers. And here ESPN was, 27 hours later, still plugging the Tebow story in the main headlines on their website, ahead of a great on-court performance by Wall. Tebow generates clicks. I get it. And the Tebow speech was a unique event. But shouldn’t a big night on the basketball court come before a day-old story about a guy who attempted eight passes this past NFL season? And that’s not meant as a knock against Tebow. I’m sure plenty of ESPN’s readers ate up that article about Tebow, which can translate into social sharing, more page views and ad revenue. I found the circumstances of the Tebow speech somewhat interesting myself when I saw Rovell’s tweet about it on Sunday. But by Monday night, is a story like that from the day before more headline-worthy than one of the top player performances of the 2012-13 NBA season? And what does ESPN want to be known for? I am not defending this segment – youtu.be/j6x-O3kb1sI – I thought it was awful and embarrassing to everyone involved. Seriously. It’s amazing to me that people get so worked up about First Take. Who cares? Just don’t watch it. There are like 800 TV channels. I don’t know exactly which tweet got Simmons suspended. Perhaps it was all of them put together or maybe it was just the two cited in the Deadspin post, which didn’t seem all that bad to me; they were just Simmons’ honest thoughts on the “First Take” Sherman-Bayless segment, which then got retweeted and created even more buzz about it. But, it would seem to me that the earlier tweet—where Simmons suggested people change the station away from ESPN—is the type that could bother an employer. I imagine that if I essentially tweeted for customers to go find a different product for a while, some of my former bosses might have wanted a word with me. Would it be worthy of a suspension? Maybe. It certainly strikes me as more damaging than the two tweets Simmons sent with his thoughts on the interview. What I don’t understand is why that tweet wouldn’t be one of the focal points for Deadspin in their article on the suspension. I looked back and found Koblin linked to it in an earlier post on Simmons’ critical tweets, where he says Simmons “started off lightly.” And Koblin does link to that older post in his one about the suspension. But unless a source at ESPN told Deadspin it was the two tweets on the segment specifically that got him suspended, I’d be looking at the one he sent right before those, where he told people to turn off the network he works for. Sidenote: Nearly every single bit of this saga seems great for ESPN and their ratings: the segment, the Simmons tweets and the suspension. They might want to look into a pro wrestling approach where they just script all this stuff. …four justices are 74 or older, meaning they will be at least 78 by the end of the term. Justice Ruth Bader Ginsburg is already 79, with Justices Antonin Scalia and Anthony Kennedy not far behind at 76 and Justice Stephen Breyer at 74. One hopes, of course, that they all live long lives, but the notion that all four will still be willing and able to serve the next four years is preposterous. Several will retire and be replaced — and even one replacement could fundamentally change the configuration of the court. The fact that several justices could be replaced over the next one or two presidential terms could very well have a bigger impact on our futures than whether we have an Obama or Romney-driven economy for the next four years. But why have the campaigns and especially the media been nearly silent about this issue?